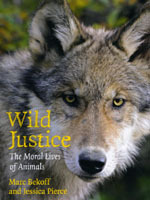 The research reported in Marc Bekoff and Jessica Pierce’s provocative book Wild Justice: The Moral Lives of Animals is getting coverage around the world. Bekoff and Pierce argue that animals can act with compassion, altruism, and empathy. Rats, for instance, will not take food if their actions will cause visible pain to another rat. In a chimpanzee group in a Florida zoo, a chimp handicapped by cerebral palsy is rarely subjected to displays of aggression by other males. Elephants help injured or ill members of their herd, and have even show such compassion for members of other species. Feature articles about the claims made in the book have appeared recently in Australia in The Age (“Puppies may share our moral conscience“), in the UK (from whence we took our title) in the Daily Telegraph and in the Daily Mail, and closer to home in the less-whimsical Denver Post (“Canine emotions raise theological questions.”) Read an excerpt from the book and treat the animals you meet with new respect. . . .
A CNN story today offers a reminder that “if President Obama has his way, health care reform will be finalized this year.… And while the specifics of how to fix the nation’s health care system are far from final, the debate over how to pull it off will turn on a key question: How to pay for it.” That’s precisely the question Jonathan Oberlander, author of The Political Life of Medicare, takes up in the last issue of the New England Journal of Medicine. “All the funding options,” Oberlander concludes, “contain various levels of political poison. Indeed, financing will probably have to be patched together from a combination of controversial sources.” Explaining the costs and benefits of these sources, Oberlander investigates ideas such as increasing “sin taxes” on tobacco and alcohol, taxing some employer-paid insurance premiums, expanding health insurance coverage to cover more people, and making cuts to Medicare and Medicaid. 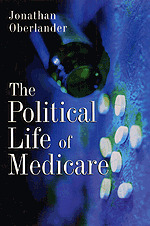 This last option, of course, is one to which Oberlander has also written a comprehensive backstory, revealing in The Political Life of Medicare how Medicare politics and policies have developed since the program’s enactment in 1965. And, as his NEJM piece reminds us, Oberlander’s accessible analyses continue to provide . 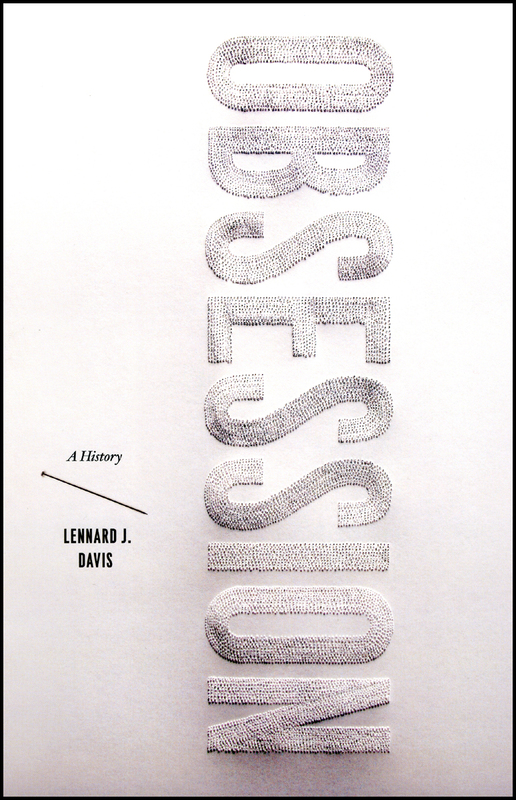 . .
Did you catch the premiere Monday night of A&E’s new candid reality show Obsessed? (If you missed it, you can watch full episodes at AETV.) The program follows sufferers of obsessive-compulsive disorder, an anxiety disorder that, according to the title cards at the beginning of the show, affects 3.3 million Americans. In the first episode, Helen, who suffers panic attacks while driving and must check and recheck her alarm clock before bed, and Scott, a germaphobe who sleeps on his couch because making the bed perfectly every morning would prove too insurmountable, get relief from their debilitating rituals through intensive behavioral therapy. At the end of the episode, viewers learn than Helen can now drive on the freeway and Scott has welcomed a new housemate—a dog. With this television show’s debut, OCD had entered the living rooms of all cable subscribers. And chances are, many viewers will recognize a bit of themselves in the participants portrayed on their screens. But OCD wasn’t always so prevalent. The psychological disorder was considered very rare—afflicting perhaps one in twenty thousand—only thirty years ago. So how did we go from that to a world where OCD gets its own reality show so quickly? Lennard . . .
How did Obama pick Sotomayor? Now that President Obama has officially announced his nomination of Sonia Sotomayor as the replacement for retiring Supreme Court Justice David Souter, reaction to his decision abounds. Most of the responses look forward—to the looming confirmation process or to how she’ll adjudicate—but some investigate what went into the decision in the first place. That’s where David Yalof comes in. The author of Pursuit of Justices: Presidential Politics and the Selection of Supreme Court Nominees, Yalof was a sought-after commentator in the run up to Obama’s announcement this morning, with organizations from PBS’s NewsHour to CNN asking him to weigh in. In Pursuit of Justices, Yalof’s investigations go even deeper than his recent commentaries, as he takes the reader behind the scenes of what happens before the Senate hearings to show how presidents go about deciding who will sit on the highest court in the land. In the process, he disputes much conventional wisdom about the selection process, including the widely held view that presidents choose nominees primarily to influence future decisions of the high court. . . . 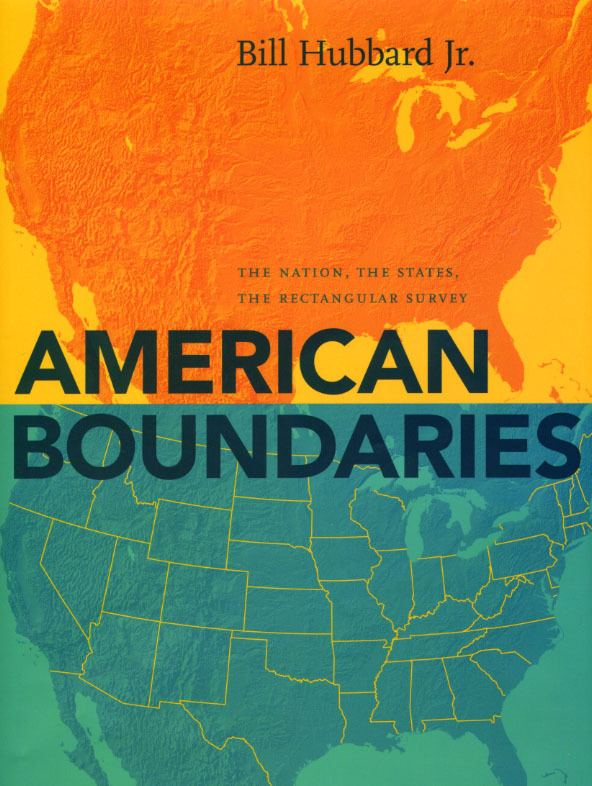 In his new American Boundaries: The Nation, the States, the Rectangular Survey, the first book to chart the growth of the United States using the boundary as a political and cultural focus, Bill Hubbard Jr. makes a point of recounting February 24, 1863—the day Congress created a new Arizona Territory from the western half of New Mexico Territory. “By tying the Arizona-New Mexico border directly to the southwestern corner of Colorado,” Hubbard writes, “Congress ensured our right as Americans to travel to the Four Corners National Monument and put one foot or hand into each of four different states.” But as it turns out, the many Americans who have since done so may have been a bit misguided. As the Discovery Channel’s Global Science Blog (among other sources) points out, recent reports suggest that “the Four Corners monument was built at least 1,800 feet from the technically correct spot where four states meet.” How did this happen? USA Today notes that “the area was first surveyed by the U.S. government in 1868, but it turns out that surveying errors misplaced the spot of the popular monument.” Errors aside, though, surveyors made great and often unheralded contributions to the way we . . . Throughout human history, people have looked to the ancient world for lost knowledge and timeless wisdom—perhaps never more so than in the aftermath of World War I, whose swathe of devastation left millions dead and the Enlightenment dream in ruins. So when British archaeologist Arthur Evans began publishing breathless accounts of the ancient Minoan civilization he was uncovering on Crete—pagan, pacifistic, and matriarchal—it fired the imaginations of a whole generation of artists and intellectuals. With Knossos and the Prophets of Modernism, Cathy Gere tells the story of Evans’s excavations and their wide-ranging influence on the world of Western ideas. Over the first three decades of the twentieth century, Evans’s fanciful depiction of Minoan society drew the fervent attention of writers, artists, and thinkers who were at the forefront of the burgeoning modernist movement, including Robert Graves, H.D., Girgio de Chirico, Sigmund Freud, and James Joyce. As Gere traces the unexpected paths of Evans’s ideas through the lives and works of these figures, what emerges is an unforgettable portrait of an age of wrenching change—and of those who responded to it with intellectual vigor and fervid innovation. Read the press release. . . .
As was widely reported today, the so-called “missing link“—the piece in the evolutionary puzzle that definitively ties humans to apes—was identified in Germany. And her name is “Ida.” Reports the New York Times: Fossil remains of a 47-million-year-old animal, found years ago in Germany, have been analyzed more thoroughly and determined to be an extremely early primate close to the emergence of the evolutionary branch leading to monkeys, apes and humans, scientists said in interviews this week. Described as the “most complete fossil primate ever discovered,” the specimen is a juvenile female the size of a small monkey. But just as soon as the discovery was announced, accusations of showmanship and exaggeration were lobbied at the scientific team behind the findings. (It’s hard not to wonder whether Google, long famous for its sparse homepage, changed its logo to celebrate the discovery or as part of a larger publicity campaign.) 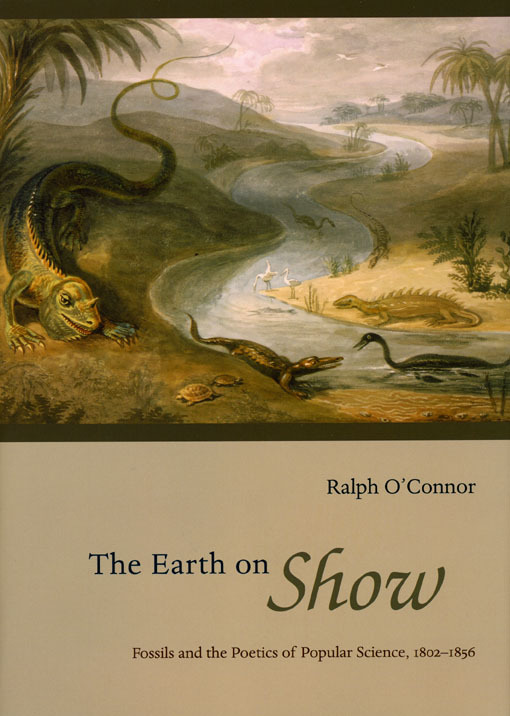 In unpacking the implications of scientific discovery in an age of social media and orchestrated press events, the Christian Science Monitor wrote: But almost as dazzling as the find itself was the way in which it was unveiled. The announcement was made with great fanfare at the Museum of Natural History . . .
Reuters reported Monday evening that “after 100 years in business and 10 months of frenzied but failed restructuring,” General Motors is “weeks from the bankruptcy filing experts say will be required to complete the Obama administration’s bid to reshape a fallen icon of American industry.” Understandably, the uncertain climate has given rise to nostalgia for the man who made the company such an icon. Alfred P. Sloan Jr. became the president of General Motors in 1923 and stepped down as its CEO in 1946. During this time, he led GM past the Ford Motor Company and on to international business triumph by virtue of his brilliant managerial practices and his insights into the new consumer economy he and GM helped to produce. With that economy—and GM itself—now on shakier footing, David Farber’s Sloan Rules: Alfred P. Sloan and the Triumph of General Motors offers an instructive explanation of the strengths of our corporate-based economic system and the weaknesses of our corporate-influenced politics. And in this interview, Farber offers a taste of the many ways in which Sloan’s life can help us think about not only the economy, but also “about American public life and the shape of democracy in the . . .
As Sir Arthur Evans unearthed the ruins of an ancient Cretan civilization in the early twentieth century he claimed to have discovered a culture that was pacifist and matriarchal, pagan and cosmic—so very unlike his native England. Freud, Joyce, Picasso, and many others embraced this vision of a lost paradise. 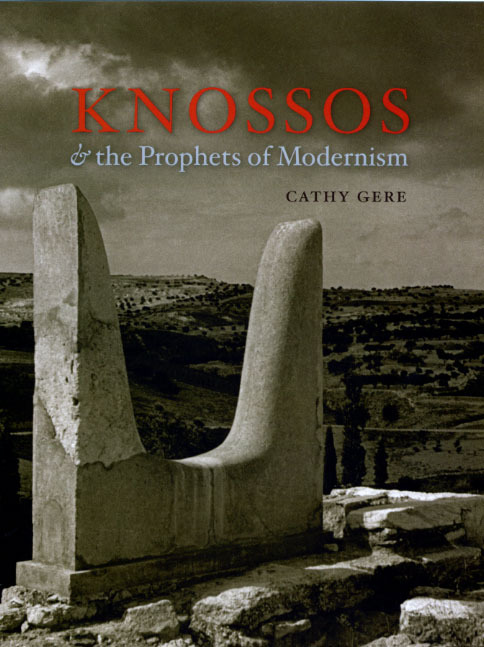 Reviews have begun to arrive for Knossos and the Prophets of Modernism in which Cathy Gere explores how disillusioned modernists sought—and created—an ancient culture that offered an alternative to the one they inhabited. A review in Harper’s notes that Gere uncovers a century of “bizarre misreadings of the nearly unknown ancient culture of Crete, and in so doing has produced that rarest of literary surprises: a genuinely hilarious work of Minoan historiography.” The review continues: the unexpected genealogy of the ancient Cretans in the modern imagination, from the time they were first unearthed beneath a modest hillock at the end of the nineteenth century to their emergence as peaceful pastoralists who worshiped a goddess, pirouetted over bulls, and displayed suspicious tendency to reflect in great detail the moral, political, and even sexual preoccupations of Sir Arthur Evans, the English millionaire who led the excavation for almost half a . . .
Let’s get this straight from the start: Bigfoot doesn’t exist. All the reported sightings are almost certainly either mistakes or hoaxes. At the same time, Bigfoot is America’s premier homegrown monster, a figure as familiar as—if far hairier than—Uncle Sam. And he remains big news: when two men from rural Georgia claimed last autumn that they’d killed a Bigfoot, reporters and camera crews flocked to their press conference, and more than 1,000 news stories followed worldwide. Just what makes this shaggy beast so enduring? 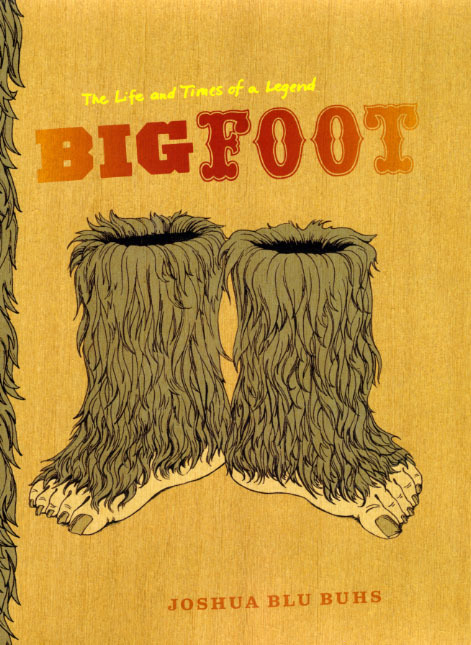 With Bigfoot: The Life and Times of a Legend, Joshua Blu Buhs hacks his way through the forest of myths, mysteries, and pseudoscience surrounding Bigfoot to write a cultural history of this modern monster. Buhs begins his trek in the forests of nineteenth-century America, with tales of wildmen roaming the hills; he then travels to the Himalayas to come to grips (not literally) with the Abominable Snowman, then back to the late 1950s in northern California, where the contemporary creature first emerged as a media marvel. Along the way, we meet hunters and hucksters, charlatans and serious seekers, as Buhs travels the back roads of America in an attempt to understand Bigfoot’’s hold on our imagination. . . .